Is Mr Nasty fading to black? Liberals back on track for another minority government. It is hard to imagine a better year March/12 to March/13 for an opposition party in Ontario. Of course there are the obvious ORANG air ambulance scandals, gas plant chicanery, wind mills controversy, race horse-slot machine revenue, but the biggie has been the attempt to implement an austerity program that Ontarians have clearly said they want no part of. Dalton McGuinty and his Finance Minister hail from the Blue Liberal part of the Ontario Liberal Party and their strategy of having the public sector in Ontario pick up the tab for the deficit caused by corporate bailouts and frantic infrastructure spending 2007-2012, blew up in their faces. As soon as they announced their austerity plans last March they began a popularity plunge of staggering speed and depth crystallized by the humiliating loss in the Kitchener-Waterloo by-election. This self immolation by the Blue Liberals has caused an embarrassing mea culpa that led to the hasty exit of both McGuinty and Duncan, casualties of a poorly thought out approach to deficit reduction. This stupidity even caused the party to bypass the Blue Liberal chosen one Sandra Pupatello and hand the leadership to the candidate with the more progressive reputation, Premier Wynne. On the surface this represents a further repudiation of austerity. We will see what it means in practice. Talk is cheap. Conversations get you off the hot seat while you get your act together. It must be agony for Liberals to try to please their progressive voters and their Bay Street sponsors at the same time. They may soon have to pick a side or become irrelevant when the big kids decide to duke it out. With all of this Liberal chaos, one might think that the Ontario PCs and leader Tim Hudak would be the prime beneficiaries. It didn’t happen. First Andrea Horwath’s NDP shot past both parties into first place but since the selection of Kathleen Wynne the Liberal vote has begun a long slow climb back towards the lead. In fact, if an election were held now, the Liberals would get the most seats but not a majority government. At the present moment, it is clear that Andrea Horwath is a major asset to the NDP, Kathleen Wynne is on par with Liberal support, (Dalton McGuinty lagged Liberal support) and Tim Hudak is a major liability to the PC efforts. It should be no big surprise why that is. We will deal with education in a minute but Hudak does not understand he is scaring the bejesus out of 70 per cent of Ontario voters. His Alabama style Right-to-Work plans are a frontal attack on not just the bogey man of organized labour but the average working woman and man in the province. Hudak wrongly concludes that anyone in a union is an enemy of the Tories so he can attack them with impunity. This is a classic blunder. The NDP especially and the Liberals generally only wish that all workers in unions hated the Tories. There are thousands of working people in Ontario that are economically progressive, union supporting but socially conservative in their personal lives. The Tories always had some of these and had a shot at retaining them but are almost force-marching them into the hands of the NDP or Liberals. I have mentioned in previous posts that Michigan Governor Snyder who signed a RTW law has fallen 20 percent since then and will lose the next election. Hudak and the Tories seem to believe that because they hate public education and public health care (or anything else that starts with public) that everybody else does. The Tories have a staggering gender gap. Their testosterone filled macho posturing turns off women faster than it attracts men. He wants to delay all-day kindergarten for those who don’t have it yet, women get angry. He wants to raise class sizes, women get angrier. He wants to slash 10 000 non-teaching jobs in public education. Guess what, they are about 90 percent women and women get it. This guy verges on misogynist in his total disregard for womens’ priorities for public policy. Has this guy ever heard of the soccer moms vote, suburban middle class minivan-driving women who can go either way on politics until someone attacks health and/or education? On post-secondary education the brain dead policies really make you wonder if the one three-digit IQ remaining, missed the meeting. To wit, Hudak wants to end the 35 percent tuition reduction that some working class and lower middle class families use to afford post secondary education. Who comes up with these nasty Ebenezer Scrooge policies? Are there no work houses? Next he wants to discourage students from going to university and shift them to community college instead. There is nothing wrong with community college. It provides a vital link in the education chain, but when was the last time you met a family with kids that had the marks for university and the family encouraged the student to go to college instead? This is a matter of listening to corporate Ontario and their job slotting, skill matching strategies over the wishes and dreams of Ontario families. There is no skills shortage in Ontario in, for example the skilled trades area. Business wants the school system to over-produce certain trades in order to flood the market with trades-people who can, due to the laws of supply and demand, be paid less. Business complains about a shortage of plumbers. The plumber’s union responds “if you want $20/hour plumbers for sure there is a shortage. If you pay scale at $40/hour there is no shortage.” We may all see serious unemployment under our noses but business and conservative allies see a serious labour shortage on the horizon as baby-boomers retire and they are determined that it will not cause them to raise wages. Hence, Right-to-Work, delayed pensions, gutting pensions, guest worker provisions, skill based immigration, community college orientation, watch carefully — you can see the pieces moving. Here is another education clanger. Loans should be linked to grades in post secondary where, in Hudak’s world, only the students with high grades are really trying. Has Hudak never met a student who is busting their posterior to get C’s? A poor kid, a working class kid, an immigrant kid struggling with English and university or college? To conclude, why is Hudak “failing to thrive” notwithstanding his greatest opportunity since 2003? He keeps throwing political red meat to votes that he already has but each of these policies alienates a political constituency where he could make inroads. His confirmed supporters cannot press the pencil any harder when they place their X for the local Tory. If you like Tories, you see them as competent managers. If you dislike them or more importantly — have concerns about them — you see them as nasty and heartless. 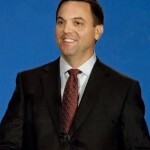 Hudak seems determined to be known as Mr Nasty.